INDICATIONS: For prostate hypertrophy, enlarged prostate, prostate infections and painful urination. 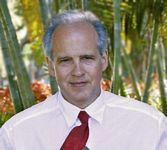 The stages of prostatitis that a patient experiences depend on individual constitution and personal lifestyle. 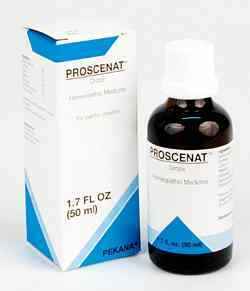 PROSCENAT drops are effective in supporting all stages, ranging from mild insufficiencies to more serious forms of prostate disease. In addition, this remedy can provide benefit regarding the development of adenoma that results from a chronic inflammatory condition. Prostate infection, acute or latent. Pelvic floor drainage and regulation. The stages of prostatitis that a patient experiences depend on individual constitution and personal lifestyle. PROSCENAT drops can be beneficial in providing support for all stages, ranging from mild insufficiencies to more serious forms of prostate disease. In addition, this remedy can help benefit the development of adenoma that results from a chronic inflammatory condition. SanPharma remedies in suppository form. Use until prostatic infection resolved. Works better in comprehensive programs to clean up the terrain of the pelvic floor than as a stand-alone remedy for prostatitis. Acidum sulfuricum 4X helps resolve mucous membrane inflammation, and is well-suited for treatment of haemorrhagic diathesis. It also addresses conditions such as extreme physical weakness, shaking, and mental and emotional exhaustion, including nervous irritability. This mineral acid affects metabolic function and is indicated for treatment of diseases such as prostatism, diabetes, stomach and intestinal ulcers, eczematous skin conditions and rheumatism. Cantharis 3X is indicated for acute urethral tube and bladder inflammation, cystitis and nephritis. It treats the urological tract to relieve inflammation and pain, and also increases circulation to the organs without causing side-effects. Conium 3X positively influences the mood and mental disposition, but is primarily a lymphatic stimulant and anti-sclerotic substance that combats lymphatic swelling, tumors with hardening tendencies and atrophy. This substance also treats weakness with shaking in the limbs and general physical exhaustion. Selenium 8X addresses the symptoms of nervous exhaustion and neuratrophy related to chronic inflammation within the sexual organs. Psychological moodiness with unrest are indications of a neurasthenia related to prostatorrhea and chronic inflammatory conditions. These are primarily seen in cases where sexual desire cannot be met due to physical weakness, which is treated by this substance. Staphysagria 3X has a specific anti-neurotic effect that results from suppressed anger. It addresses prostatism and cystic catarrh, and also can eliminate pain and intestinal atony following operations. Nasturtium aquaticum1X is indicated for urological tract irritations and skin inflammations. It is known to possess natural antibiotic characteristics. This substance also stimulates the metabolism, and acts as an anti-infectious agent and diuretic.